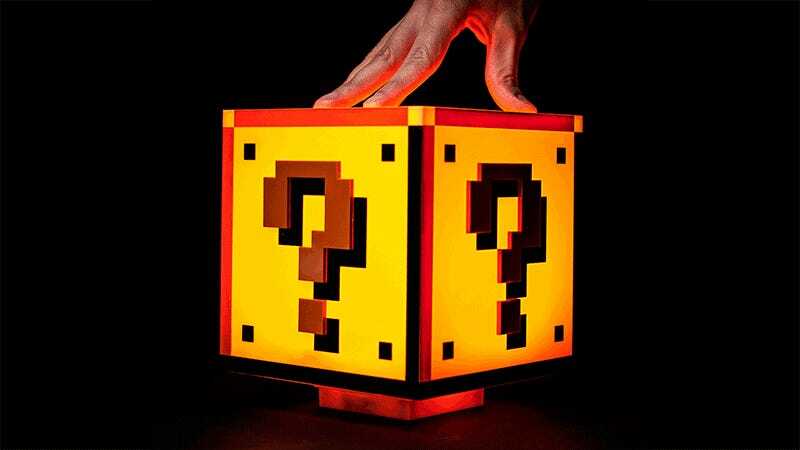 Much to the chagrin of the person you sleep next to every night, this wonderful Super Mario Bros.-inspired Question Block lamp makes that classic video game ‘ping’ sound every time you tap it on and off. No actual coins are ejected, but we’re waiting for confirmation on whether or not the occasional mushroom pops out. Officially licensed by Nintendo and available from Firebox for $36, the seven-inch lamp is powered by batteries so you can place it anywhere without having to deal with unsightly cables. You can also power it with a USB cable if you want it perched near your computer. Be forewarned, you might find yourself endlessly turning it on and off just to hear its incredibly satisfying sound effect, so hopefully everyone you live and work with are Mario fans too.